You can buy the 4 day pass for just $180 MXN adult and $130 MXN child or buy ticket per day $75 MXN adult and $60 MXN child each day. RALLY CAMPUS 1 DAY, ADULT $75 pesos RALLY CAMPUS access 1 day. Does not include access to Street Stage Leon and Rock & Rally. RALLY CAMPUS 1 DAY, CHILDREN $60 pesos RALLY CAMPUS access for 1 day. Children under 1.2 meters tall pay Child Ticket at a discounted price. People over 60 years old with INAPAM credential also pay Child Ticket.Does not include access to Street Stage Leon and Rock & Rally. RALLY CAMPUS 4 DAYS, ADULT $180 pesos Unlimited access to Rally Campus the 4 days of the event. You must exchange it for a bracelet at the Information Module at Olimpo Street Access or Vasco de Quiroga access. Does not include access to Street Stage Leon and Rock & Rally. RALLY CAMPUS 4 DAYS, CHILDREN $130 pesos Unlimited access to Rally Campus the 4 days of the event. You must exchange it for a bracelet at the Information Module at Olimpo Street Access or Vasco de Quiroga access.Children under 1.2 meters tall pay Child Ticket at a discounted price. People over 60 years old with INAPAM credential also pay Child Ticket. Does not include access to Street Stage Leon and Rock & Rally. 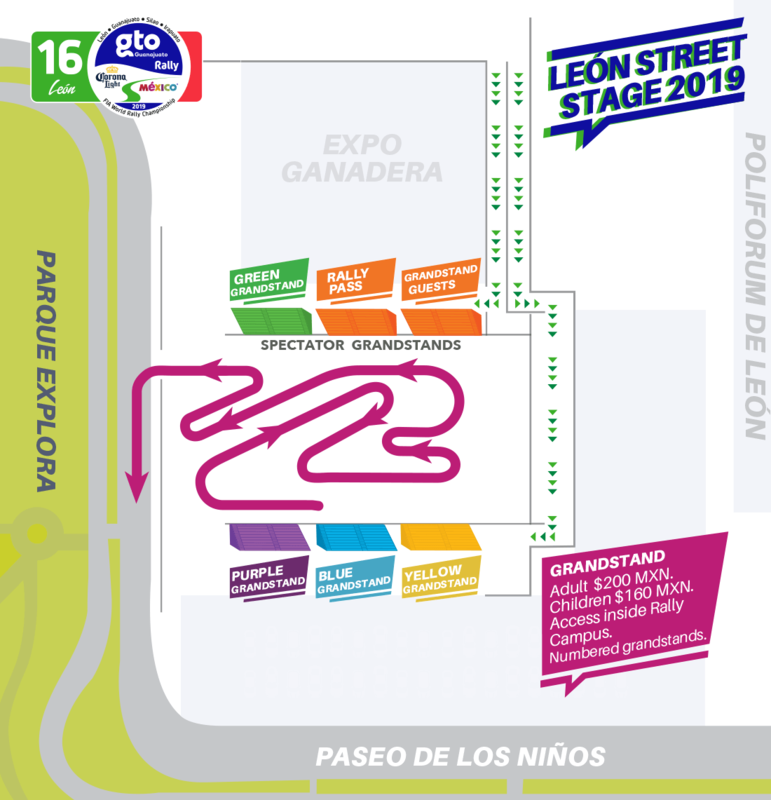 LEON STREET STAGE FRIDAY, ADULT $215 pesos Access to grandstand in Street Stage Leon – FRIDAY 8th. Numbered grandstands. 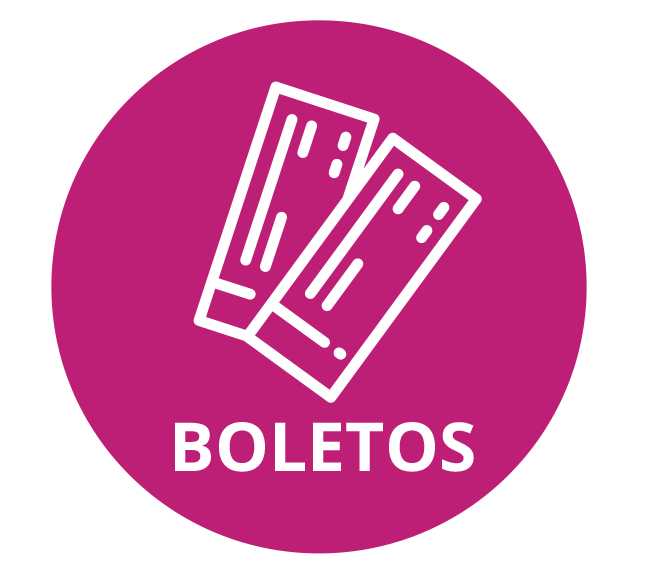 LEON STREET STAGE FRIDAY, CHILDREN $175 pesos Access to grandstand in Street Stage Leon – FRIDAY 8th. Numbered grandstands. Children under 1.2 meters tall pay Child Ticket at a discounted price. People over 60 years old with INAPAM credential also pay Child Ticket. ROCK & RALLY SATURDAY, ADULT $265 pesos Access to grandstand in Rock & Rally – SATURDAY 9th. Numbered grandstands. 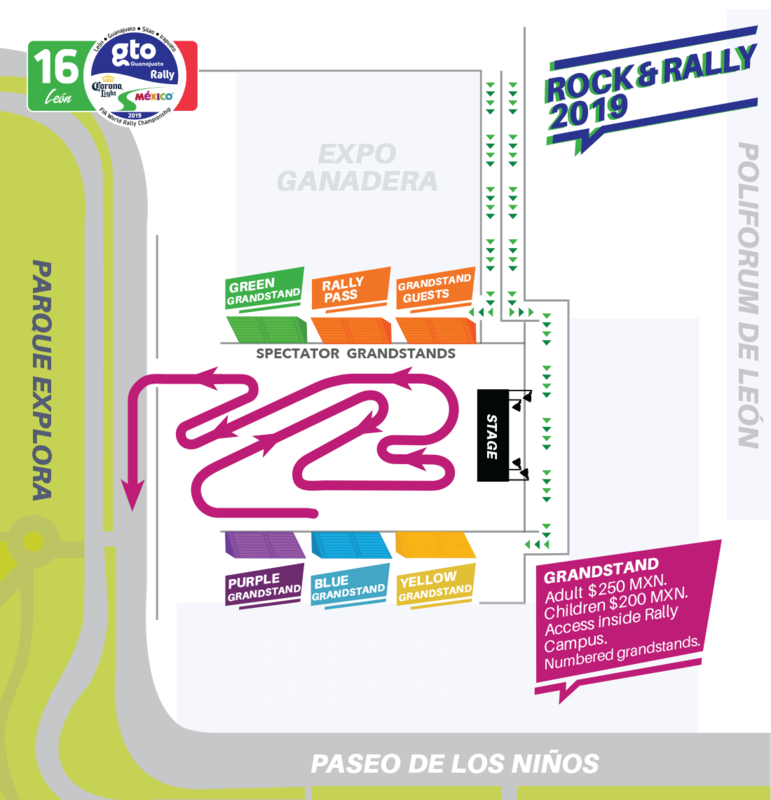 ROCK & RALLY SATURDAY, CHILDREN $215 pesos Access to grandstand in Rock & Rally – SATURDAY 9th. Numbered grandstands. Children under 1.2 meters tall pay Child Ticket at a discounted price. People over 60 years old with INAPAM credential also pay Child Ticket. GENERAL A, ADULT $135 pesos No seat included. GENERAL A, CHILDREN $100 pesos Children under 1.2 meters tall pay Child Ticket at a discounted price. People over 60 years old with INAPAM credential also pay Child Ticket. No seat included. GENERAL B, ADULT $105 pesos No seat included. GENERAL B, CHILDREN $80 pesos Children under 1.2 meters tall pay Child Ticket at a discounted price. People over 60 years old with INAPAM credential also pay Child Ticket. No seat included. 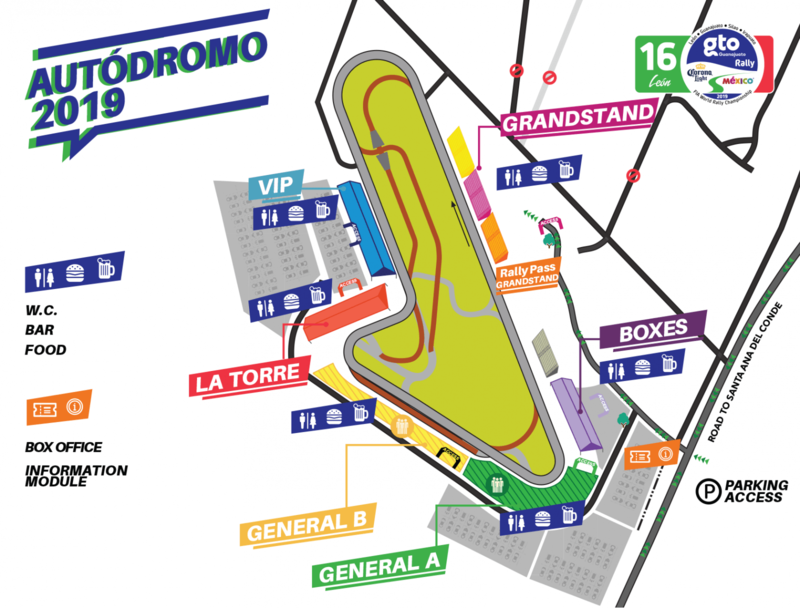 GRANDSTAND, ADULT $265 pesos Numbered grandstands, buy your ticket NOW!. GRANDSTAND, CHILDREN $215 pesos Children under 1.2 meters tall pay Child Ticket at a discounted price. People over 60 years old with INAPAM credential also pay Child Ticket. HALF BOX $2,660 pesos There are no child tickets for this section. Children over 3 years old need a ticket to enter (only 1 children under 3 year allowed in each half box). Includes access for 4 persons, food and drinks have an extra cost. FULL BOX $5,320 pesos There are no child tickets for this section. Children over 3 years old need a ticket to enter (only 2 children under 3 year allowed in each complete box). Includes access for 8 persons, food and drinks have an extra cost.